Wrap yourself in the comfort of earth’s energy and be guided by its wisdom. Carry peace within you. This mala is handmade using the gemstones Rhyolite, Golden Tigereye, and Rose Quartz. 108 beads at 6mm each; 1 guru bead at 8 mm. Hangs approximately 48cm in length (including tassel). 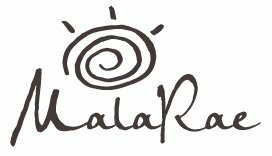 Wholesale Malas Canada – MalaRae is a unique mala company based in the Ottawa region, is your best choice. Rhyolite fortifies self-respect and feeling of self-value. It aids in the ability to visualize and meditate, stabilizes creativity and allows for new ideas to flourish. Rhyolite promotes awareness of the beauty of the earth and enhances love. It has the potential to bring abundance and wealth. Rhyolite opens the hearth chakra. Golden Tigereye is said to bring patience, great focus and determination to those who carry it. By wearing the gem, it can help with fighting negative energy whether it is illness or an outside influence. The harmony it brings is calming and helpful with meditation. Use Golden Tiger Eye with the solar plexus chakra to increase personal power.